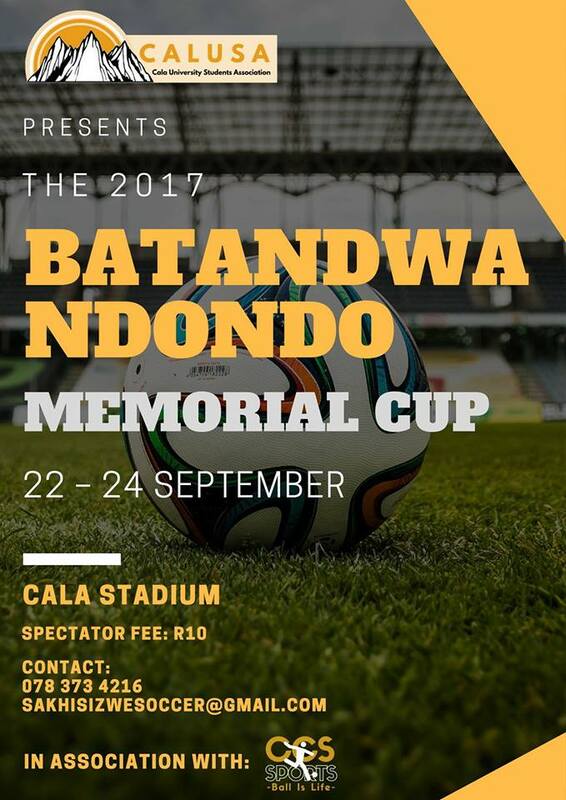 All roads lead to Cala for the Batandwa Ndondo Memorial Cup to be held from the 22nd to the 24th of September 2017! The aim of the tournament is to educate school athletes about the history and the values of Cala’s freedom fighter Batandwa Ndondo who was killed by the Apartheid police on the 24th of September in 1985. The Batandwa Ndondo Memorial Cup will provide a platform for the school soccer players to market themselves to the local clubs. The idea is that players who participate in this tournament will filter into the local clubs. The players should also progress from these local football clubs and work their way up the ranks until they reach the ultimate stage of the Premier Soccer League (PSL). Players who show exceptional talent at the tournament could get the opportunity for a trial with a PSL or NFD club.